Amy Solomon leads the Laura and John Arnold Foundation’s emerging corrections portfolio, with a focus on community supervision, prison reform, reintegration and fines and fees. Amy joined the foundation after seven years in the Obama Administration, where she served as executive director of the Federal Interagency Reentry Council. Comprised of more than 20 federal agencies, the council spearheaded substantial policy reforms including the federal Ban the Box rule, fair housing guidance, the Second Chance Pell initiative, Medicaid guidance for the justice-involved population, and a critical modification related to child support. Amy concurrently served as director of policy for the Office of Justice Programs at the U.S. Department of Justice. In that role, she worked with Justice Department leadership and the White House to shape, launch, and implement a broad range of domestic policy initiatives focused on criminal justice reform, health care reform, urban policy, and building trust between the justice system and communities of color. Andy Potter is a 30-year veteran of the Michigan Department of Corrections (MDOC) and the executive director of the Michigan Corrections Organization (MCO), a public-sector union located throughout the State of Michigan. Andy joined the corrections department in 1989 and worked at the Oaks Correctional Facility and the Handlon Michigan Training Unit, where he held several elected chapter positions. He was elected to the MCO State Executive Board in 2004 and became state vice president in 2005. Over his career, he has held gubernatorial appointments on several task forces including an appointment to the Michigan Corrections Officers Training Council from 2004 to 2013. Since 2015, he has served as MCO’s executive director and led the restructuring of MCO’s staff and operations. During his time as executive director, he has spearheaded several new initiatives to revolutionize member engagement within the union and also holds the title of president of the SEIU Michigan State Council. In addition, he is the founder of One Voice, a national campaign that brings corrections officers together with criminal justice reform leaders and other stakeholders to experiment with ways of building bridges and unearthing common ground issues in order to better inform the policies, approach, and narrative of criminal justice reform. Arthur Rizer is director of criminal justice and civil liberties policy for the R Street Institute, where he heads institute programs dealing with a variety of issues related to crime, policing, intelligence, and privacy. In this capacity, he produces original research, writes for the popular press, and educates policymakers on criminal justice and civil liberty issues. Arthur is also a visiting lecturer at University College London in the Department of Security and Crime Science and an adjunct professor at George Mason University Law School. Arthur previously served as associate professor of law at West Virginia University’s College of Law and visiting professor of law at Georgetown University Law Center. From 2003 to 2013, he was a trial attorney with the U.S. Department of Justice, primarily serving as a federal prosecutor in the criminal division. He also served as a prosecutor in the United States Attorney’s Office for the Southern District of California and in the civil division, working on immigration-related litigation, and with the Federal Programs Guantanamo Bay litigation team. Bari Mattes is an independent strategic consultant working with non-profit and political organizations whose work is consistent with her personal mission of leaving the world a better place than she found it. Bari served as senior advisor to Senator Cory Booker for 12 years and served as Senator Booker’s campaign finance chair for his 2014 reelection campaign. As Senator Booker’s senior advisor, she oversaw public/private partnerships and special projects for the senator as well as all of his political and philanthropic fundraising. During Senator Booker’s seven years as mayor of Newark, she also oversaw his strategic policy team. It was Senator Booker’s commitment to criminal justice reform that educated her and ignited her passion on this issue. She was a founding board member of The Marshall Project and was the board chair of The Hetrick-Martin Institute, home of The Harvey Milk School. She presently serves on the board of The Newark Mentoring Movement which she and Senator Booker founded in 2012. Billy Watterson is director of Galaxy Gives, the Novogratz Family Philanthropy. At Galaxy Gives, Billy’s primary responsibilities include developing the Novogratz family’s philanthropic and political giving strategy, providing support and strategic guidance to grantees, advising the family on impact investments, and leading social impact initiatives within Galaxy Corporate. Prior to joining Galaxy Gives, Billy was program director for the Rhode Island Office of Innovation where he led the state’s digital equity initiatives. Prior to joining the State of Rhode Island, Billy was founder and executive director of Beat the Streets Providence, a 501c3 inspiring at-risk youth throughout the Boston and Providence area to succeed on and off the mat through the sport of wrestling. In a volunteer capacity, Billy is a board member of Beat the Streets Providence, advisor to the Helena Group’s Urban Planning Division, advisor to Govern for America, and a member of Defy Ventures New York’s Founder’s Circle. Additionally, Billy is a freelance writer who has written for the Next Web, Providence Journal, Brown Alumni Magazine, and several tech companies. Candice Jones is the president and CEO of the Public Welfare Foundation in Washington, DC. Previously, she served as senior advisor at Chicago CRED, an organization that focuses on gun violence in Chicago. In that role, she worked on securing greater investments for violence intervention programs as an alternative to the criminal justice system. Prior to her work with Chicago CRED, she served as director of the Illinois Department of Juvenile Justice, a cabinet-level state agency where she supervised operations, programming, budget matters, and communications. During her tenure, she pushed significant reforms that reduced the number of youth in state custody. She also served as a White House fellow, managing a portfolio within the U.S. Department of Education that included developing education strategies for correctional institutions and shepherding a plan to reinstate federal Pell grants for youth and adults in custody. Earlier in her career, Candice served as a program officer with the MacArthur Foundation, where she managed a grant portfolio focused on decreasing racial and ethnic disparities in the juvenile justice system and on improving the quality of defense for indigent youth. Dan Slepian is a seasoned, award winning investigative producer and a 20-year veteran of NBC’s venerable newsmagazine, Dateline -- where he has developed and produced dozens of documentaries, complex hidden camera investigations, and breaking news segments. Referred to as “A TV News Gumshoe” by The New York Times, Slepian’s investigations have uncovered corruption, helped solve cold cases, assisted in exonerating wrongfully convicted inmates, sparked changes in laws, and led to the shutting down of illicit businesses. Most notably, Slepian is known for his in depth investigations of wrongful convictions, which have resulted in many documentaries, earning a total of nine Emmy nominations. In 2016, Slepian broke new ground with “Conviction”, an original 12-episode digital documentary series that followed his three-year investigation into the case of New York inmate Richard Rosario, convicted of a 1996 murder. The series—the first of its kind from NBC News—was released on March 23, 2016. Rosario was freed the next day after having been locked up for 20 years. As a result of its online success, “Conviction” was acquired and aired as a two-hour program by both MSNBC and Oxygen networks. As a volunteer, Slepian worked with inmates at Sing Sing prison to create "Voices From Within", a deeply emotional video intended to help reduce inner city gun violence. Slepian introduced the project during a TEDx Talk in the prison. The City of New York is now using the video in various crime reduction programs. Daryl V. Atkinson is the co-director of Forward Justice—a law, policy, and strategy center dedicated to advancing racial, social, and economic justice in the U.S. South. Prior to joining Forward Justice, Mr. Atkinson was the first Second Chance Fellow for the U.S. Department of Justice (DOJ). While at DOJ, Mr. Atkinson was an advisor to the Second Chance portfolio of the Bureau of Justice Assistance (BJA), a member of the Federal Interagency Reentry Council, and a conduit to the broader justice-involved population to ensure that BJA heard from all stakeholders when developing reentry policy. Prior to serving at BJA, Mr. Atkinson was the senior staff attorney at the Southern Coalition for Social Justice (SCSJ), where he focused on criminal justice reform issues, particularly removing the legal barriers triggered by contact with the criminal justice system. Prior to his tenure at SCSJ, Mr. Atkinson was a staff attorney at the North Carolina Office of Indigent Defense Services (IDS) where he helped develop the Collateral Consequence Assessment Tool (C-CAT), an online searchable database that allows the user to identify the collateral consequences triggered by North Carolina convictions. Most notably in 2014, Mr. Atkinson was recognized by the White House as a “Reentry and Employment Champion of Change” for his extraordinary work to facilitate employment opportunities for people with criminal records. David Michael McCall, Jr. has served as the deputy director for the Division of Operations with the South Carolina Department of Corrections (SCDOC) since October 2014. His mantra includes “get it done,” and “let’s make it happen.” He has been out and about in prisons and values others’ opinions and always looks forward to hearing your thoughts. Mr. McCall also cares about the inmates. A few small things that he has worked on are eliminating three-man and double celling in restrictive housing units. These reforms gives incarcerated indviduals hope. A man or woman without hope becomes dangerous. When those inmates are released onto the streets, they will be our neighbors, so he is a firm believer in rehabilitation. Although those items are high on his agenda, his number one priority is and has always been security. Mr. McCall is passionate about the agency and the officers because they are where the rubber meets the road. David Safavian is the general counsel of the American Conservative Union and the deputy director of ACU Foundation’s Center for Criminal Justice Reform. Prior to joining ACU, Safavian worked as a Senate-confirmed position in the George W. Bush White House, as well as an appointee in an Executive Branch agency. He was chief of staff for a member of the House Judiciary Committee and served as a law clerk in U.S. District Court for the Eastern District of Michigan. David has a B.A. from St. Louis University, a J.D. from Michigan State, an LL.M from Georgetown and an M.B.A. from Loyola. He spent two years as an adjunct professor at Georgetown, where he lectured on ethics, and continues to speak to students in graduate business programs in the region. Safavian lives in Alexandria, Virginia with his wife and two daughters. DeAnna Hoskins is president of JustLeadershipUSA (JLUSA). Dedicated to cutting the U.S. correctional population in #halfby2030, JLUSA empowers people most affected by incarceration to drive policy reform. A nationally recognized leader and dynamic public speaker, Ms. Hoskins has been committed to the movement for justice, working alongside people impacted by incarceration for nearly two decades. Ms. Hoskins believes in collective leadership, advocacy for justice reinvestment, and bold systems change. Ms. Hoskins leads with her own life experience having been directly impacted by the system of incarceration and the war on drugs and with her professional experience from the grassroots to federal government. She is inspired to make the world more just with communities across the country, and for her three children – two that have experienced the criminal justice system. DeRay Mckesson is a civil rights activist focused primarily on issues of innovation, equity, and justice. Born and raised in Baltimore, he graduated from Bowdoin College and holds honorary doctorates from The New School and the Maryland Institute College of Art. DeRay has advocated for issues related to children, youth, and families since he was a teen. As a leading voice in the Black Lives Matter Movement and a co-founder of Campaign Zero, DeRay has worked to connect individuals with knowledge and tools, and provide citizens and policy makers with commonsense policies that ensure equity. He has been praised by President Obama for his work as a community organizer, has advised officials at all levels of government and internationally, and continues to provide capacity to activists, organizers, and influencers to make an impact. Emily Tow Jackson is executive director and board president of The Tow Foundation, a private family foundation. She joined the Foundation’s Board of Directors at its inception in 1988 and has been leading the organization since 1995. Under Emily’s leadership, the foundation has developed and advanced its vision of a society where all people have the opportunity to enjoy a high quality of life and have a voice in their community. Emily oversees the strategic direction of the foundation through cultivating its strategic partnerships and collective impact efforts, shaping major initiatives, and setting long-term objectives. Emily is currently a trustee of Barnard College and New York Public Radio. She was appointed by Governor Andrew Cuomo to the New York State Juvenile Justice Advisory Group and also serves on the Advisory Committee of the American Theatre Wing. Emily speaks nationally and internationally about the foundation’s work, its commitment to advocacy as a key to achieving social change, and the value of family philanthropy. Emily earned her B.A. in History from Barnard College. She received an honorary Doctor of Criminal Justice degree from University of New Haven in 2017. Garry McFadden is one of the most decorated law enforcement officers in the history of the Charlotte-Mecklenburg Police Department (CMPD). Mr. McFadden spent 30 years as a detective and 20 years in the homicide unit. After a stellar career, McFadden retired on July 31, 2011 and was immediately re-hired by the City of Charlotte and assigned to work in the Office of the Chief and is currently assigned to the Community Relations Unit to help implement programs within the community. In 2015 Garry and three local barbers created a community initiative called Cops & Barbers. The initiative captured the attention of The President’s Task Force on 21st Century Policing, and as a result, President Obama invited the group to the White House. 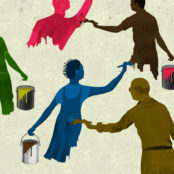 President Obama considered this vision as one of the top ten initiatives in creating meaningful relationships in communities. Garry has been featured on America’s Most Wanted, The First 48, and The Justice Files. On June 14, 2016, Investigative Discovery channel presented “I Am Homicide,” a docuseries highlighting a few of Garry’s most complex homicide cases that we worked over the span of his career. The début of this national television show allowed Garry to be the first African American law enforcement officer to have his own television show. Currently he has completed two seasons and is working on a third. On May 8, 2018 the voters of Mecklenburg County in North Carolina elected Garry as their next sheriff making him the first African American sheriff in the history of the county. Gina Clayton-Johnson is the founder and executive director of Essie Justice Group (Essie). An award winning social entrepreneur, attorney, activist, and advocate for women, Gina launched Essie (named after her great grandmother, Essie Bailey) in 2014 to support and empower women with incarcerated loved ones. Gina’s experiences as an organizer and civil rights activist in Los Angeles led her to pursue the law. She interned and studied under some of the country’s most respected criminal justice reform organizations and leaders during her time at Harvard. After law school, Gina dedicated herself to working directly with low-income women and families impacted by the criminal justice system. In addition to a J.D. from Harvard Law School, Gina holds a B.A. in American studies and ethnicity, with a minor in education, from the University of Southern California. Joseph A. Marino III currently serves as a Louisiana state representative for District 85 in Gretna, Louisiana. He was elected to this position in 2016 as an Independent. 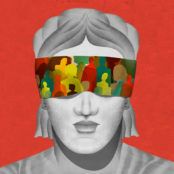 He serves on the Administration of Criminal Justice Committee and the Judiciary Committee. He is a criminal defense attorney practicing for the past 25 years. He was a bill author and was extensively involved acting as the lead negotiator in the criminal justice reform package in Louisiana in 2017. Due to his efforts he was awarded Legislator of the Year by the Alliance for Good Government, Jefferson Parish Chapter. Keith Barber began work as a field investigator with the Office of Legislative Corrections Ombudsman in 1982 after completing a Bachelor's Degree in criminal justice at Michigan State University. The Ombudsman Office is a nonpartisan legislative agency responsible for investigating and attempting to resolve issues within the state prison system. Funding for the agency was terminated in 2003, but was funded again in 2008 following two controversial deaths of segregated mentally ill prisoners during the time the office was closed. Keith was appointed ombudsman in 2008 to rebuild the agency. In addition to investigating the complaints of prisoners and their loved ones to determine whether a policy or statutory violation exists, the office provides recommendations to the Michigan Legislature for potential systemic corrections and criminal justice reforms along with analysis of proposed statutory changes. Mattie Kahn is a senior editor at Glamour, where she covers news, politics, and women's issues. She came to the magazine from ELLE.com, where she served as a staff editor. Her work has appeared in ELLE, BuzzFeed Reader, VanityFair.com, Cherry Bombe, Refinery29, The Trace, and more. In 2017, she launched ELLE.com's acclaimed "Why I Ran" series, which featured interviews with Senators Tammy Duckworth, Maggie Hassan, and Catherine Cortez-Masto, and Representatives Pramila Jayapal, Lisa Blunt Rochester, Val Demings, and Marcy Kaptur. 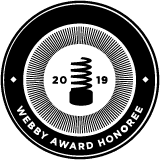 In 2016, her multimedia account of the Flint water crisis, which she conceptualized and produced in collaboration with MacArthur-winner LaToya Ruby Frazier, was awarded two Min Online awards and a Front Page Award from the Newswomen's Club of New York. She graduated from Harvard in 2015. Michael E. Novogratz is the founder and CEO of Galaxy Digital, and is based in New York City. Previously, he was a principal and chief investment officer of the Fortress Macro Fund; he was also a member of the Board of Directors of Fortress Investment Group LLC. Mr. Novogratz joined Fortress in 2002 after spending 11 years at Goldman Sachs, where he was elected partner in 1998. Mr. Novogratz founded and serves as the chairman of the board for Beat the Streets, a non-profit organization which builds wrestling programs in New York City public schools. He is also the honorary chairman of USA Wrestling Foundation. Mr. Novogratz also serves as chairman of the board of The Bail Project and Hudson River Park Friends. He is also on the board of directors of NYU Langone Medical Center, Princeton Varsity Club, The Jazz Foundation of America, and Artists for Peace and Justice. Mr. Novogratz received an AB in economics from Princeton University, and served as a helicopter pilot in the US Army. Pelicia Hall has been commissioner of the Mississippi Department of Corrections (MDOC) since March 2017. Governor Phil Bryant appointed Ms. Hall as the department’s first female leader after she had served as the MDOC’s chief of staff for two years. She came to corrections after four years as chief counsel for the Mississippi Bureau of Narcotics (MBN). In addition to working with the MDOC and the MBN, she also served as a special assistant attorney general with the Office of the Mississippi State Attorney General. She has nearly 20 years of legal experience in both the government and private sectors in a wide variety of disciplines. She has litigated cases in both federal and state courts. Commissioner Hall earned a J.D. degree from the Mississippi College School of Law and a Bachelor of Art degree from Alcorn State University, where she majored in political science/pre-law. She is a native of Shubuta in Wayne County, Mississippi. Commissioner Scott Semple joined the Connecticut Department of Correction (DOC) in 1988 as a front line correction officer at a high security institution. During his tenure with DOC, he has served as a training officer; correctional captain; agency spokesperson; and major, serving in the capacity of legislative liaison. As major, he was assigned to an institution where he lead the establishment of the agency's first consolidated environment for male offenders with significant mental health needs. During this assignment, he was promoted to deputy warden, and later to warden. Due to his ongoing track record of professional achievements, he was appointed deputy commissioner of operations and rehabilitative services in 2013 and less than a year later, chosen to serve as the interim commissioner. In March 2015, the Senate resolution unanimously passed consent on his appointment as DOC commissioner. In April 2015, he dedicated the state’s first Reintegration Center, which is designed to prepare inmates for reintegration upon release and reduce recidivism. A visit to prisons in Germany with Connecticut’s Governor Dannel Malloy provided insight into a model of supervision whose focus is rehabilitative as opposed to punitive. This newly acquired first-hand perspective helped Commissioner Semple to develop his vision for Connecticut’s system. The agency has since opened up an additional three Reintegration Centers, designed to address the specific needs of veterans, treatment of offenders serving DUI sentences, and the female population. These centers are viewed nationally as a best practices model for corrections. In the Fall of 2016 Commissioner Semple was named as the president of the Northeast Association of Correctional Administrators. As a member of the CT Criminal Justice Policy Advisory Commission and Sentencing Commission, he is actively involved in the shaping of criminal justice reform policy. He also serves as co-chair of the CT Fatherhood Initiative Council and Executive Team. Senator Derrick T. Simmons is a trial lawyer, former municipal court judge, and Mississippi state senator. Senator Simmons was elected to the Mississippi Senate on March 1, 2011 and serves as chairman of the Enrolled Bills Committee. Senator Simmons is a member of the following committees: Corrections; Compilations, Revisions, and Publications; Finance; Insurance; Judiciary A; Judiciary B; Labor; and Wildlife, Fisheries, and Parks. Senator Simmons currently serves as the chair of the Mississippi Senate Democratic Caucus—also referred to as the minority leader in the Mississippi Senate. Senator Simmons is an advocate for juvenile justice and criminal justice reform to not only improve the fair and equitable operations of the corrections system but also reduce the population of incarcerated juveniles and adults. Seth Smith graduated in 1997 with a Bachelor of Science Degree from Alcorn State University. His state career began in the year 2000 when he went to work at Louisiana State Penitentiary (LSP). While at LSP, Smith held several positions before ultimately being promoted to director of nursing. In 2008, he accepted a deputy warden’s position at Elayn Hunt Correctional Center and was promoted to warden in 2014. In December 2015 he was appointed to chief of operations. Timothy Head is the executive director for the Faith & Freedom Coalition. Prior to joining Faith & Freedom, Tim was the district director for a member of the Texas congressional delegation. He has served as chief of staff and as policy advisor to members of the Texas legislature and worked on the Republican Party of Texas’ 2010 Victory Texas effort. Before working in public policy, Tim did missionary work in Asia, the Middle East, and Europe and worked on staff at Antioch Community Church in Waco, Texas. Tim graduated from Baylor University with a Bachelor of Arts in psychology and a Master’s of social work. He also received his J.D. from Baylor Law School. He has been married to his wife, Annie Kate, for over ten years and they have two daughters. Udi Ofer is the deputy national political director of the ACLU and director of the ACLU’s Campaign for Smart Justice. 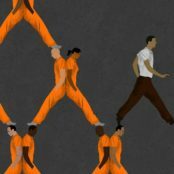 He oversees the ACLU’s work to reduce the nation’s incarcerated populations by 50 percent and to challenge racial disparities in prisons and jails. Ofer is also a visiting lecturer at Princeton University’s Woodrow Wilson School of Public and International Affairs. From 2013-2016, he served as executive director of the ACLU of New Jersey, and from 2003-2013, he worked at the New York Civil Liberties Union, where he founded the advocacy department. Ofer began his legal career in 2001 as a Skadden Fellow at My Sisters’ Place, a domestic violence organization. He has published widely, testified before numerous legislatures including the United States Senate, and is frequently cited as an expert on criminal justice matters. Angela Franke is the deputy headmaster and policy officer at the Correctional Academy of the Ministry of Justice, Hamburg. Previously, she was a career consultant and lecturer of adult education having worked in different high security and open prisons in Hamburg. In her previous position, Angela was responsible for enhancing and modernizing the vocational and educational training of incarcerated people as well as promoting better links with community organisations and employers. Dr. Behnam Timo Said is a German Islamic scholar, author, and former intelligence analyst. Said studied Islamic studies, political science, and social and economic history in Hamburg. Until January 2018, he worked as an Islamic scholar at the Office for the Protection of the Constitution of the Department of Home Affairs and Sport Hamburg. Since February 2018 he works for the Hamburg judicial authority. In 2014 he completed his PhD at the University of Jena on "Anaschid - Anthems in the context of jihadist mobilization and propaganda." Said is the author of several textbooks and articles on Islamism, Salafism, and Jihadism. Said's research on jihadist hymns and poems, which he examined from the perspective of social movement theory as a means of mobilizing the jihadist movement, attracted particular interest in the professional world and in the media, both in German-speaking countries and internationally. Said's book "Islamic State - IS Militia, al-Qaeda and the German Brigades," which was the first German-language monograph on the newly-proclaimed "Islamic State" and the Syrian conflict, also received a broad reception. Inga Marquardt is the head of unit in enforcement supervision and design at Billwerder Prison. Prior to that, she was the deputy head of the prison. She completed her law studies at the Christian Albrechts University Kiel. She also did her legal traineeship in Hamburg with a judge in Hamburg (District Court of Mitte (Civil Law), Administrative Court (University, Immigration and Asylum Law), District Court of St. Georg (Criminal Law)). Jan R. Strømnes joined the field of corrections in 2009, during the final year of the construction of Halden prison. He then played a key role in establishing the prison as an operational facility. Halden prison has in the media a reputation of being "the most humane maximum security prison in the world." The prison combines the needs of civil protection while strongly emphasizing and protecting inmates' human rights. This is done through elements such as a humane and respectful treatment and the concept of dynamic security, using normality as a guideline for architecture, routines, and work flow. Additionally, the prison focuses strongly on future planning and preparations for reentry into society through the corrections officer’s role as contact officer. Before joining the Norwegian Correctional Service, Jan held managerial positions for many years in different parts of the public sector. He has a bachelor degree from the Norwegian School of Management, Air Force officer candidate school and Air Force Academy in Norway, as well as postgraduate education from several institutions. Senator Dr. Till Steffen is a German politician. Steffen studied law at the Universities of Mainz, Hamburg, and Aberdeen. He obtained his doctorate in the field of European nature conservation law. He was appointed on May 7, 2008 to the Senate of the Free and Hanseatic City of Hamburg under the First Mayor Ole von Beust. As a senator, he was president of the judicial authority (Justizsenator) in the first black-green coalition at the state level. From 2010 to 2015 Steffen was a member of the Hamburg Parliament. For his group, he was spokesman for transport and district policy. In 2010, Steffen was also chairman of the Conference of Ministers of Justice in Hamburg. Ullrich Quietzsch has been the head of Billwerder Prison, Hamburg since 2004. Prior to becoming the head of Billweder, Mr Quietzsch was the head of detention center, Vierlande, an area in Hamburg formed by the four towns of Kirchspiele Curslack, Kirchweder, Neuengamme, and Altengamme. Mr. Quietzsch is a diploma-accredited psychologist and is continuing education for systemic and organizational therapy consultancy in Hamburg.